Over the past few years, the Mazda brand has spelled engagement and driving pleasure on the road. This is the brand that uses “zoom zoom” as its mantra has been great at bringing advancements and developments to the market to make sure we can have more of what we want when it’s time for the drive. Because of the upgrades, improvements, and driving dynamics that we’ve enjoyed over the recent years from Mazda, the question comes to mind to make us wonder why we see an old-fashioned item on the newest car in the lineup. 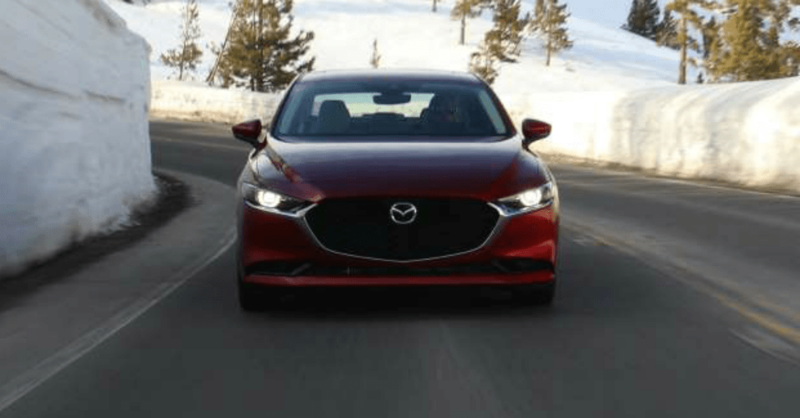 The new 2020 Mazd3 is brand new for the model year and will offer us some of the most incredible advancements and improvements for the small car that we want to drive. This new car is being offered with an old-fashioned torsion-beam rear suspension instead of one of the more advanced multi-link setups that are offered in most of the small cars on the road. The reasons for this suspension layout are surprising but do make sense when you see why this is the system being used in this car. The team that developed this new Mazda3 worked to create a car that feels smooth and natural on the road to give you the drive you want. Because of this, they used the torsion beam to offer you fewer variables and more of the drive you want when you’re looking for a ride that makes a difference for you during your time behind the wheel. This torsion-beam layout also gives engineers the chance to have an easier suspension to fine-tune and make it possible for this car to be set up perfectly. A torsion beam is mechanically simpler and it can be lighter than a multi-link suspension. These older suspension systems are also easier to package and offer you the ability to have it sit lower in the vehicle which allows for more trunk room to be enjoyed when you need to take items with you. Even though this is a simpler setup, it makes practical sense for this to be the system used in the car you want to drive. The Mazda3 is expected to be a great compact family car on the road and with the added depth of the trunk area, it can be. For many years, we’ve admired the way that Mazda has approached engine tuning and driving dynamics. Because they’ve mastered these aspects of their cars, it seems that we should trust them and what they bring to the market. Yes, the torsion-beam suspension does feel like a step backward, but it also makes sense to have this system as part of the car you want to drive. The new Mazda3 will be offered for the 2020 model year and it will give us a car that’s advanced in many ways while providing the feeling you’ll love on the road. Looking for something a bit different? Take the Mazda CX-9 for a test drive today!